In the sport of triathlon, there’s a big emphasis on going fast, dropping the hammer, and feeling the burn. While that is a key component to building threshold fitness, those energy systems are often over-targeted, leading to peaking prematurely, injury, or burnout. Zone 2 heart rate or power can generally be equated to a steady aerobic effort. You should be able to maintaining a conversation, while also focusing on rhythm and efficient biomechanics at an even pace. Very generally, Zone 2 is approximately 85% of threshold HR and 65% of threshold power. Threshold, or Zone 3, is the hardest output you can sustain for 40 to 60 minutes. Zone 1, alternately, is reserved for recovery and very easy efforts. The primary benefit of Zone 2 training is that it builds aerobic base and endurance. Increased aerobic capacity enhances your ability to sustain a sub-threshold pace for a longer period of time. In conjunction with higher intensity efforts, Zone 2 is the foundation from which to begin to build threshold fitness. Strong aerobic capacity also allows you to recover more quickly between those higher intensity efforts as you progress into your season. For example, with strong aerobic fitness, you may ultimately be able to perform intervals with a shorter rest in between, or be able to perform a higher volume of intervals at the same pace. By sticking to lower heart rates, over time you will find that you can increase your pace at the same heart rate output. This is due to increased aerobic efficiency, and it sets off many positive training adaptations. For example, when you have a higher aerobic efficiency, you can log more training hours at a lower heart rate, which results in the muscular endurance critical for maintaining form and pace in long-distance triathlon. For Ironman triathletes, Zone 2 bike training sessions of four hours and above are also ideal opportunities to practice race-specific nutrition. By dialing in your Ironman nutrition protocol, you can test caloric ingestion limits as well as observe your energy availability and muscular ability when running off the bike. Keep in mind that in Zone 2, you’re able to utilize a higher percentage of fat as fuel versus glycogen. As you go faster, the ratio of glycogen consumption increases, which becomes a limiter in endurance events because our muscles only store a limited supply. Without supplementation, you can typically store about 1.5 to two hours of glycogen in your muscles. In a long-distance triathlon, therefore, you will always to run a caloric deficit — or burn more calories than you can ingest. If you are forced to use fat as your primary source of fuel because glycogen is depleted, you’ll have to slow down as fat requires more molecules of oxygen to breakdown than glycogen. If your body is already used to utilizing fat, you will be able to maintain a higher pace than you would if you hadn’t done significant Zone 2 training. 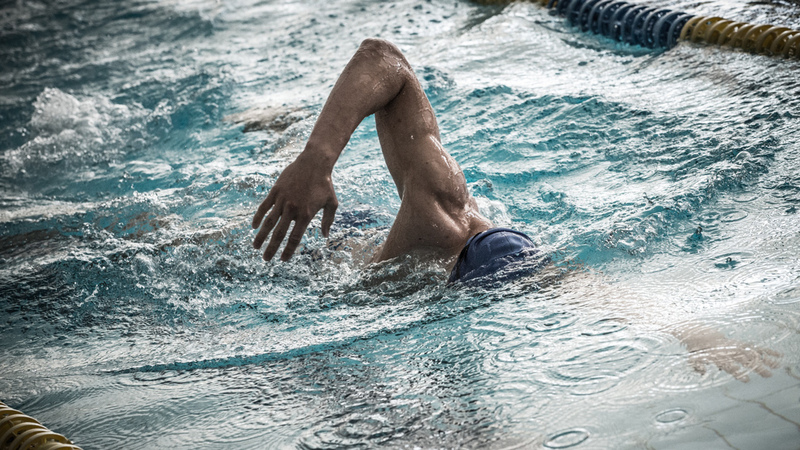 Swimming at a lower intensity also provides the same benefits of increased endurance and the opportunity to build efficiency at a set heart rate or effort. The other benefit of lower-intensity swimming is to slow down and emphasize good technique. Improved technique may allow you to match pace with what you previously considered high-intensity intervals. A healthy dose of Zone 2 training early in the season ensures proper endurance and an aerobic foundation, but this energy system should be maintained throughout the year. Slow things down to focus on technique, while practicing race-specific nutrition at endurance racing-specific heart rates. Then, gradually sprinkle in higher training zones (3, 4, and 5) as you get closer to your race. Lance Watson, LifeSport head coach, has trained a number of Ironman, Olympic and age-group Champions over the past 30 years. He enjoys coaching athletes of all levels. Contact Lance to tackle your first IRONMAN or to perform at a higher level. For more training tips, visit LifeSport Coaching on Facebook or on Twitter at #LifeSportCoach.